You're Not Alone In This Fight! A few weeks ago I read a blog post of someone who was asking some questions in the air, I did address those question and reply with some answers in hope to make him feel better about himself and his situation. This is what I’ve answered in my reply. If you decide to beat depression and win back your life, this is what I can say. When will my day be? The day you feel grateful no matter what happens. When it comes will I be ready? Will I be the one to do it? Must be you the one to do it. Will I be in the driver seat? God must be in the driver seat. Will it be a gloomy day? Will I have learned anything new? If people knew my thoughts would they be worried? The people that matter would be. If I knew what my thoughts meant, would I be worried? Your thoughts aren’t the lies of depression. If you want to read the whole post and see why I’ve answered this way to these questions, you can do it by following this link. I don’t remember if it was on Instagram or Facebook or somewhere else, but this one interested me a lot and I think the answer cannot be found from another person point of view, but by each one of us because it’s something related to knowing the true colors and the true shape of our souls. When trying to figure out things and getting out from depression by yourself these are the kind of questions you may have in your head. Am I deserving of this? Does my mind play tricks on me? Do I wanna give up? How do you explain that you aren’t suicidal but that you aren’t particularly invested in being alive? How do you tell someone that you don’t want to die but that you don’t necessarily want to exist either? I don’t pretend to have all the answers or give you a magical phrase or quote that will just make sense toward these kinds of questions, but something I’ve seen often is that people who have these questions on mind usually tell others “I’m fine” and I think this is badly wrong. When you say “I’m fine” but in the inside, you’re drowning and you’re losing yourself you’re denying your emotions and in a certain way avoiding seeking a little help and support. What I want you to understand from all of this and the mindset that I’d love to impress in you is that depression and anxiety will be weakened to the point of being almost inexistent in you if you know who you really are. 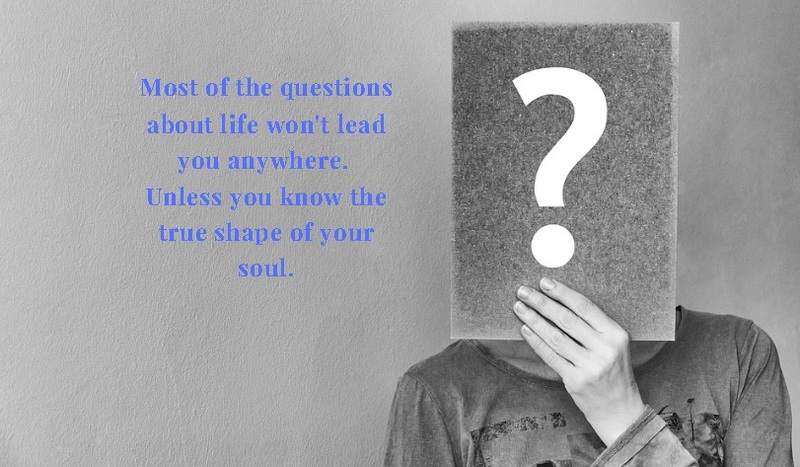 I mean, by knowing who we really are is the way we become able to answer these questions or better yet these questions disappear too if we know ourselves, otherwise, we will be confused and cannot find the peace of mind we are seeking. Mental health is one of the most important things to care about. Remember there’s always hope and it’s not a lost fight. Perseverance and efforts (even small) will pay off one day. You’re Not Fighting Depression Alone! Subscribe to the newsletter and get your copy of our short guide on how to be happy and get out of depression! Your email is secured with us! Be sure to check your Spam folder! How Does True Love Looks Like?